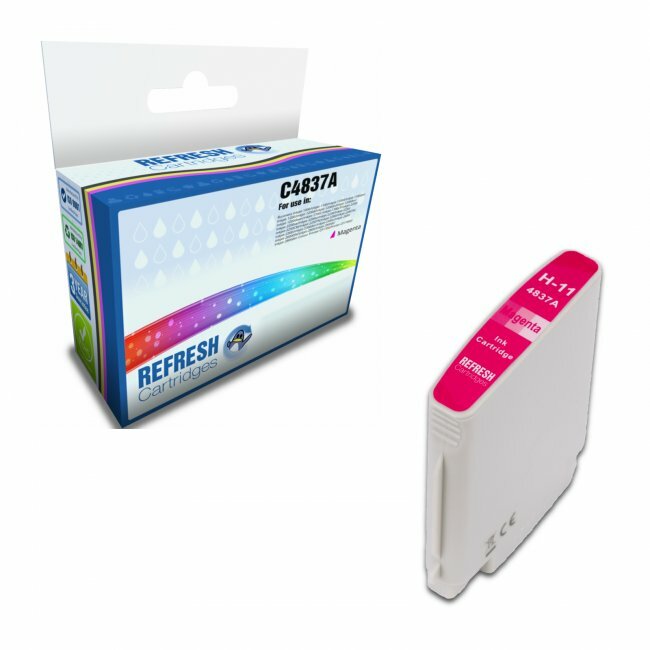 This remanufactured HP magenta HP 11 C4837A cartridge is a popular high quality cartridge and represents a significant saving on the original HP C4837A cartridge. Holding 28ml of ink, the HP 11 magenta cartridge is compatible with a wide range of HP printers and offers comparable quality to the original. 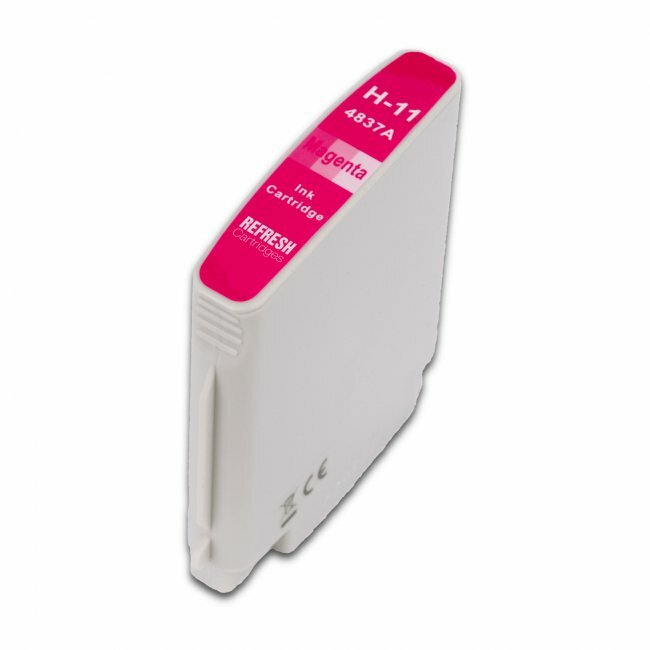 This HP C4837A magenta cartridge provides up to 2,350 pages in any of the HP printers listed above. 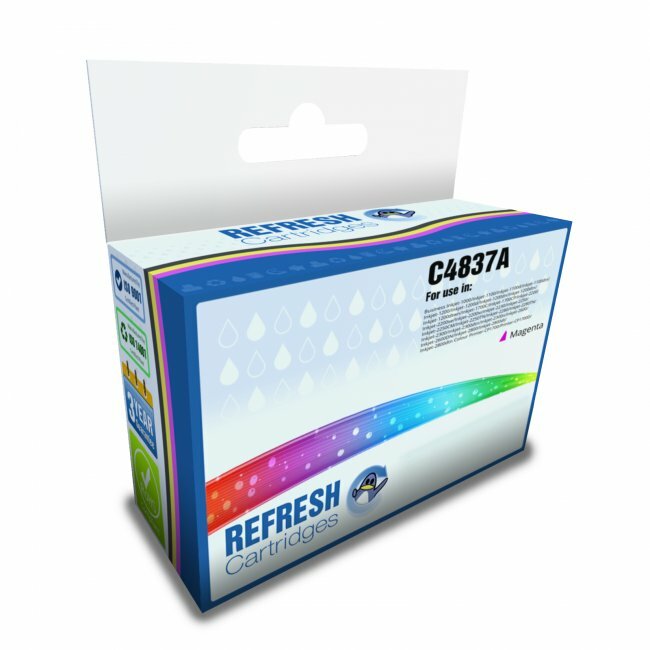 Our remanufactured HP 11 magenta C4837A cartridges for this range of HP printers are amongst the lowest priced on the Internet and carry a 100% satisfaction guarantee. All our prices include VAT and delivery so the price you see is the price you pay.